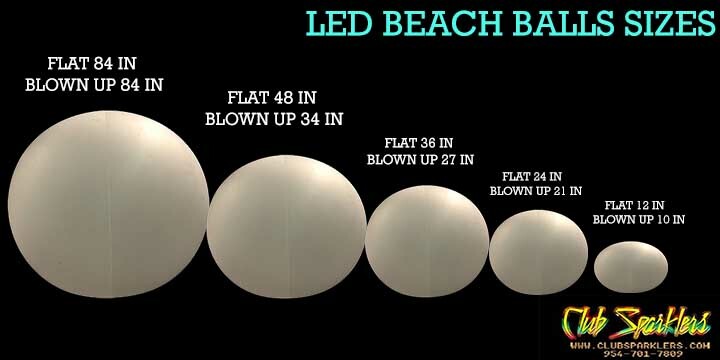 LED Powered White Glowing Beach Balls. Each one contains a 1 LED lights that remain on with an on/off switch. Estimated lighting time 3 to 5 hours.